When the sleigh bells ring, will your guests be listening? 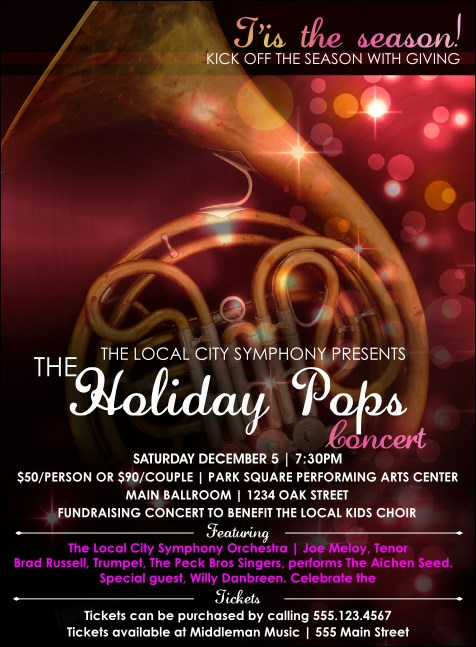 Make sure they know where to catch the beautiful music when you advertise your performance with Symphony Holiday Pops Invitations. This unique Invitation template features a shiny gold French horn on a shimmering pink and gold background. TicketPrinting.com will help you fill the seats for any full orchestra performance.